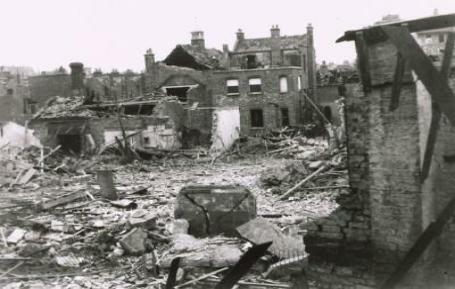 blasted Staveley Road in Chiswick. 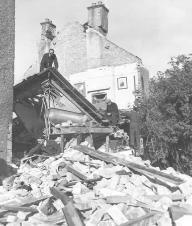 There was no warning, no air raid siren. This was something new. 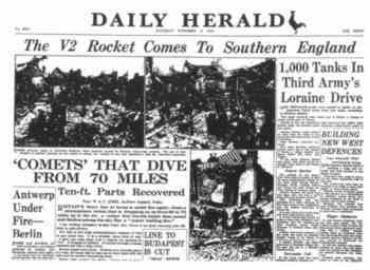 For a complete log of where every V2 fell visit the excellent WRS online the V2 Rocket. 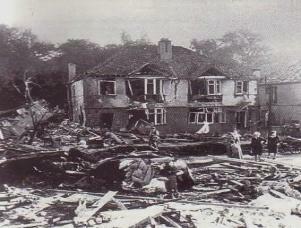 On the 8th September 1944 a huge explosion rocked Staveley Road Chiswick in south west London. arrived via the stratosphere at 3,000 miles an hour. 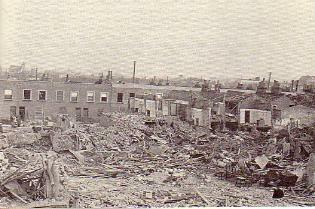 3 People died and 17 were seriously injured which reduced rows of houses to the appearance of a battle field. boom from the upper atmosphere. The noise could be heard all over the capital. A second V2 hit Epping at around the same time but fortunately in this case there were no casualties. 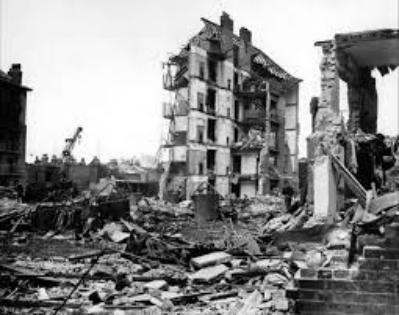 The attacks continued at a steady rate until the last missile in March 1945.
rendered them useless. Only the deepest tube stations or deep level shelters could be considered totally safe. Netherlands, from the East and short-falling Rockets therefore struck that side of London. were terrified. 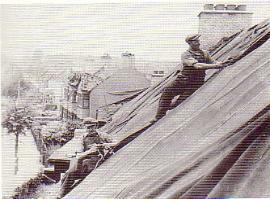 One contemporary report describes "Brixton women preying in the street for the war to stop." curtailed them. Up to the end a steady rate of missiles struck with a relentless death toll. the V2 was seen in its last moments of flight, a line drawn across the grey November sky. 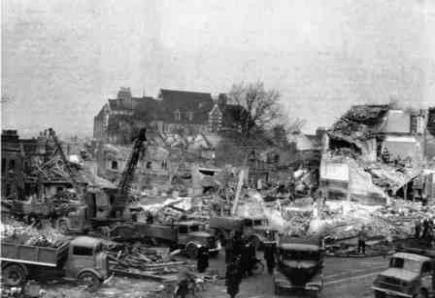 The store bulged outwards and then imploded and in the carnage 168 people were killed and 121 were seriously injured. spun round causing yet more deaths and injuries,its occupants were seen still sitting in their seats covered in dust.. 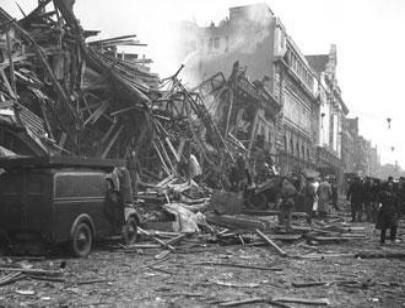 There were piles of masonry and pieces of bodies all around, where Woolworth's had been was just an enormous gap. erected a blue plaque on the building to commemorate the tragedy. crater formed filled with the rubble of the devastated buildings. rabbits that had gone on sale. and also one of the most deadly.